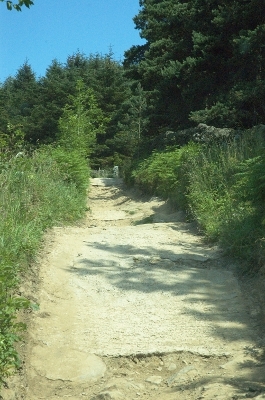 RATING: A steep climb on a rough surfaced track. 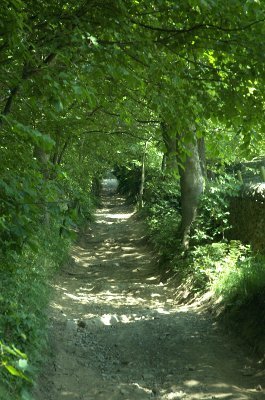 This lane took some finding. 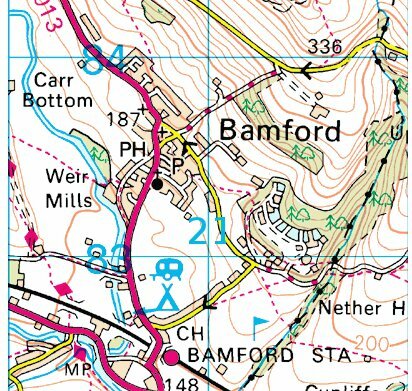 Bamford is only a small village but Leeside Road is tucked neatly away at the back of the village. Even the 'Unsuitable for Motor Vehicles' sign was disappearing amongst the foliage. 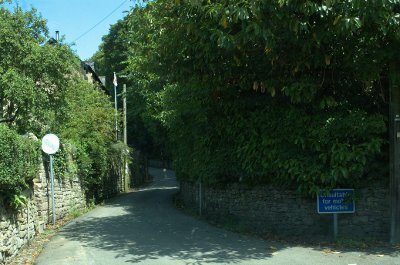 Starting off as good tarmac the lane soon deteriorates and with a steep incline and rough surface it soon becomes a lane well worth driving. 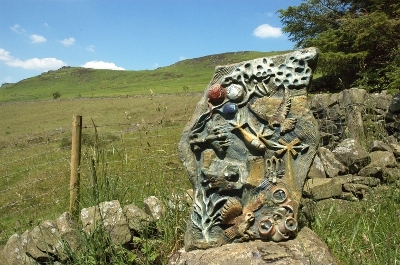 Part of the Derbyshire sculpture trail it's still quite a surprise to find a sculpture sited at the side of the track. This one represents 'Air'.